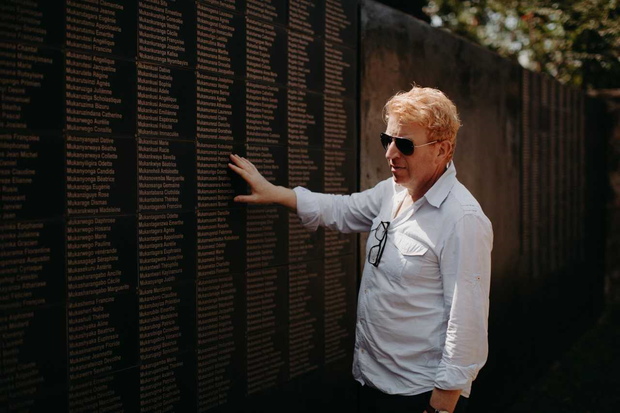 In the third of four videos charting singer Tommy Fleming's trip to Rwanda with Irish charity Bóthar, he visits the Genocide Memorial Centre. Tommy Fleming has revealed he felt 'overwhelmed' by the stories and images of people, including children, who lost their lives in the Rwandan genocide. The Sligo singer recently visited the African country to witness the work of Irish charity Bóthar with the survivors of the fastest killing spree in the history of man, which took place over 90 days from April 7, 1994 and saw one million people lose their lives. 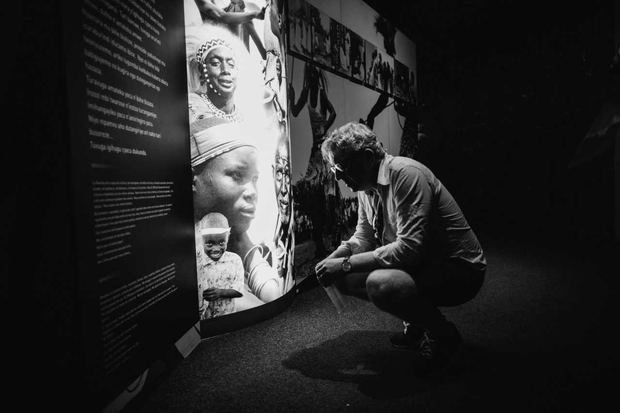 During his trip he visited the Kigali Genocide Memorial Centre, which proved to be a hugely emotional experience, as it charts the unspeakable horror of the genocide on the site of a mass grave of 250,000 people. "This didn't happen 100 years ago. This happened in April 1994, when we were all sitting down to watch Riverdance. That's how recent this was," says Tommy. "It takes a lot to knock me but I am - I just found it overwhelming. Overwhelmingly sad, overwhelmingly tragic." He adds, "When I came to the children's room, 70 per cent of those kids witnessed a family member being murdered, being massacred. It's just incomprehensible, it's - it's just wrong. God, how can any human inflict such atrocities on another human, let alone another child? One baby died in his mother's arms while she was being massacred." Tommy said he was "rendered speechless" by what he witnessed at the memorial and said it shows how "privileged we can be in the west". Speaking outside of the memorial in Kigali, he adds, "How these people are able to smile again is beyond me. How they can get up in the morning is beyond me. It's a lot more graphic when you go in there. What you see in there is not what you would have seen on CNN or Sky News. I just need to, to gather my thoughts." Tommy, who took time out from recording his new album Voice of Hope II, to travel to Rwanda, met some of those families living with the legacy of genocide more two decades later and witnessed the positive impact Bothar’s work has had on their lives. Bóthar supports the Rwandan government’s ‘One Cow Per Family’ programme, which aims to reduce extreme rural poverty by providing every family with a cow by gifting in-calf Irish dairy heifers and other food and income producing animals to local families. Tommy also recorded Supertramp’s 1977 hit ‘Give A Little Bit’ with students from Rwamagana High School, located an hour from the country’s capital Kigali, to raise vital funds for Bóthar and their work locally. In our final video next Monday, Tommy meets and rehearses with the students and performs and records the Christmas charity single, ‘Give a Little Bit’, in aid of Bóthar with them for the first time. Donations are hugely important to Bóthar and range from €10 for a guinea fowl to €1,800 for an in-calf Irish dairy heifer right up to €25,000 for a Bóthar Ark – enough to purchase animals to look after 85 families.